My sister was going to a kitchen tea, so I made her this card. 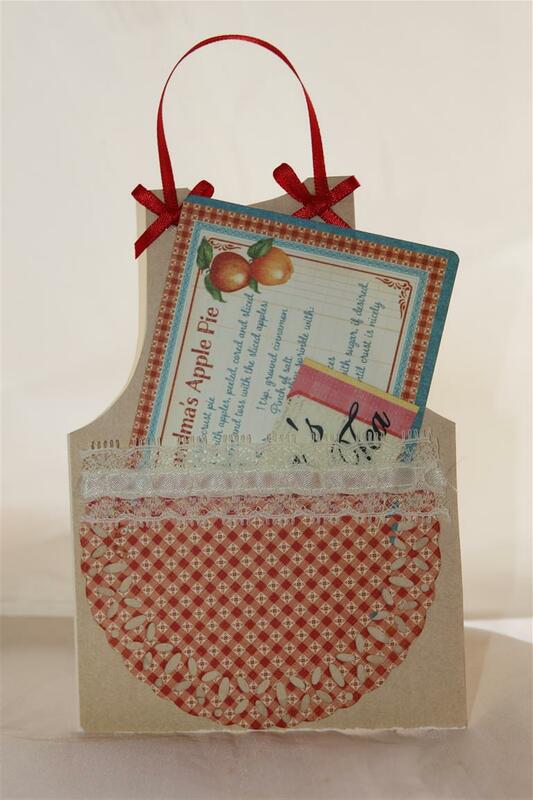 I shaped the front of the card base like an apron, and then covered it and the inside with graphic 45 Home sweet home paper. I made a pocket for the front of the apron, and didn’t stick down the top edge so that I could pop a recipe card in it – the graphic 45 Home sweet home collection had these in the collection. Ribbon, and lace to finish! The weather here is much milder this week,so I am feeling a lot more comfortable, although it is heating up again for the weekend so I will make the most of the cooler weather while it’s here!Til tomorrow…. two cards today that I made with specific people in mind – that doesn’t happen often ,ususally I am making cards for classes,orders or craft fairs.The top card was for my sons’ birthday. 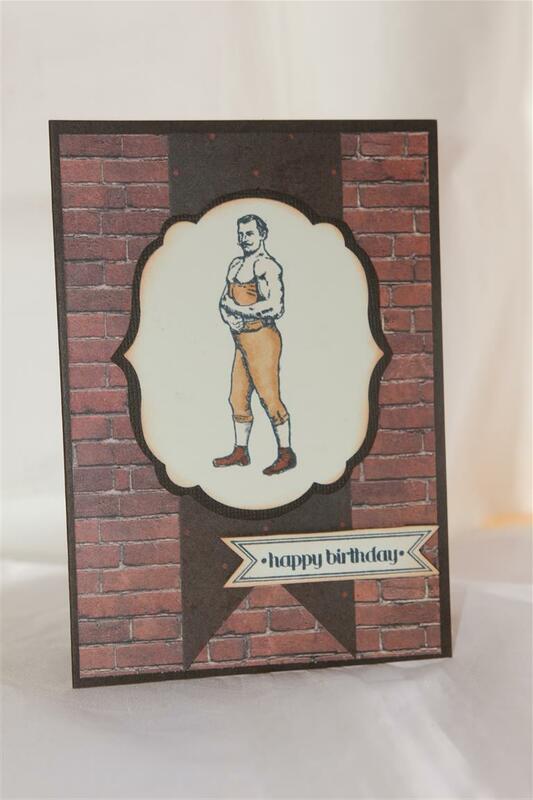 the stamp set is from stampin up ( Guy greetings),as is the designer paper and I coloured the image with copics.My boys and husband run a wrestling company and gym so this was perfect for Daniel.The bottom card was for a kitchen tea,so I made an apron and popped a recipe card ( paper and recipe card by graphic 45 – home sweet home) in the apron pocket.Today I taught a lesson over at the retirement village, and enjoyed afternoon tea with my ladies.My sister came along to help and she gave me the new Stampin Up catalogue so I am looking forward to a night in front of the heater with my pen and notepad compiling my wishlist! Til tomorrow….